Impart a look full of elegance, style and class with this graceful straight fit kurta from Biba. 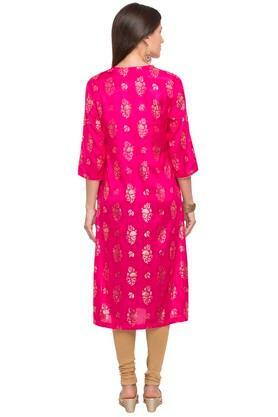 It features a printed pattern, notched neck and three quarter sleeves that looks unique and attractive. 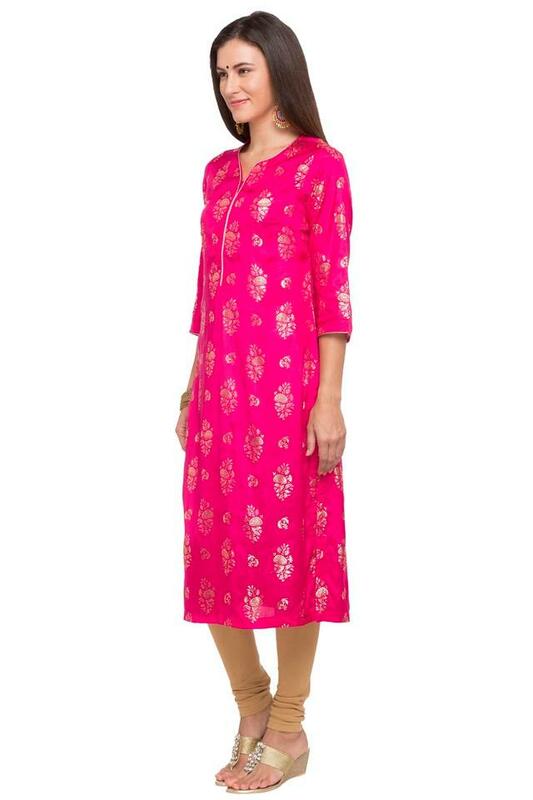 This kurta is crafted from good quality fabric that stays soft against the skin. 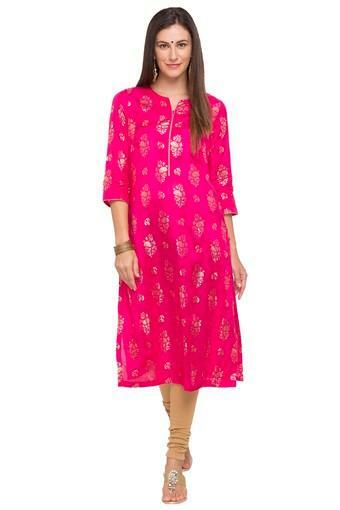 Provide your ethnic silhouette a touch of vibrant sophistication with this elegant straight fit kurta. You can wear it on all occasion pairing with?�leggings?�and?�sandals.